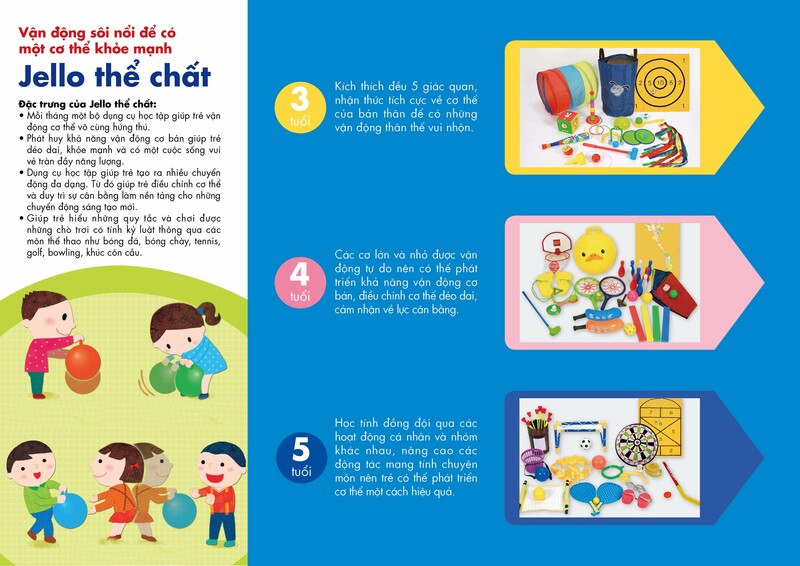 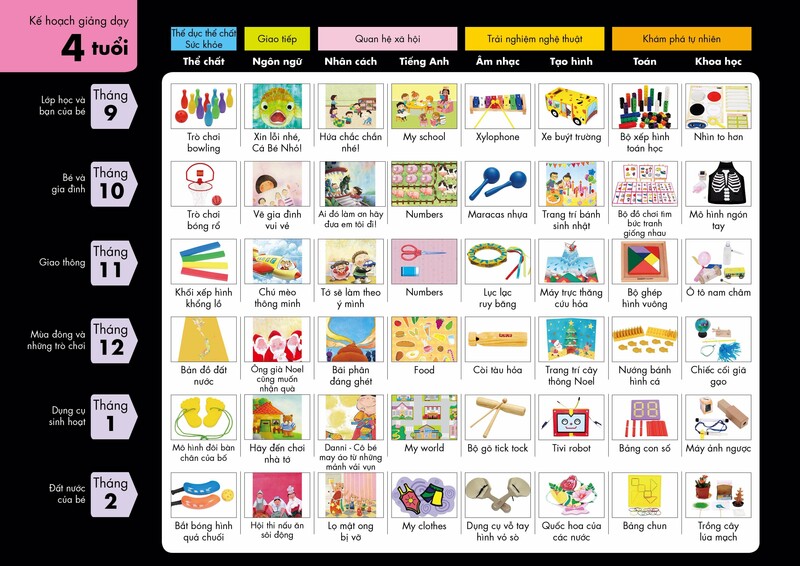 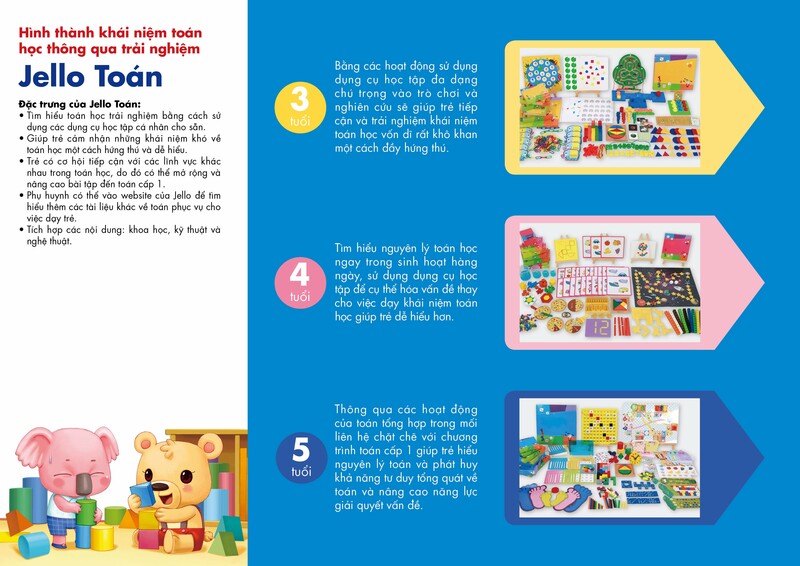 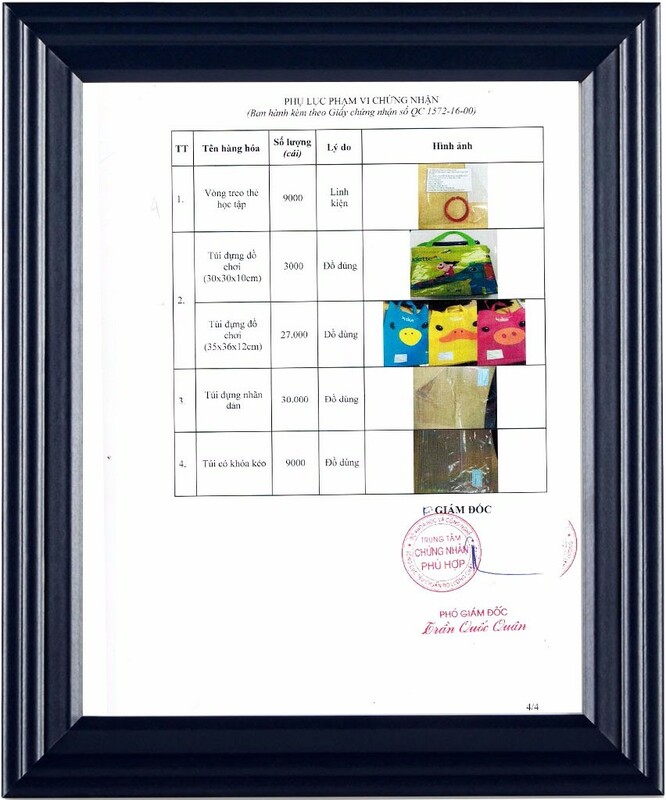 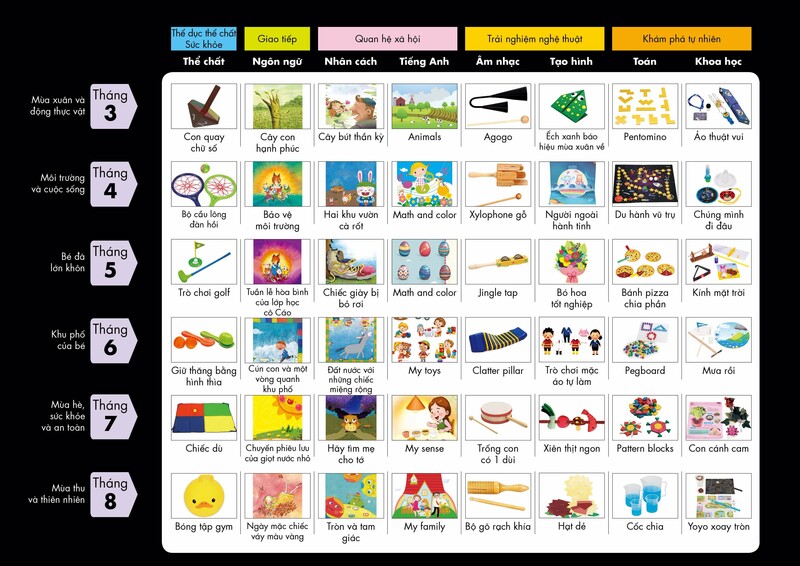 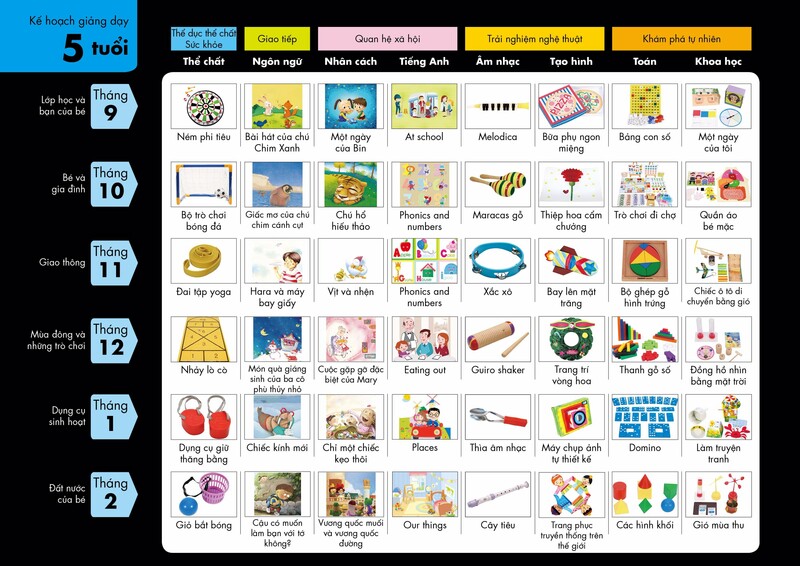 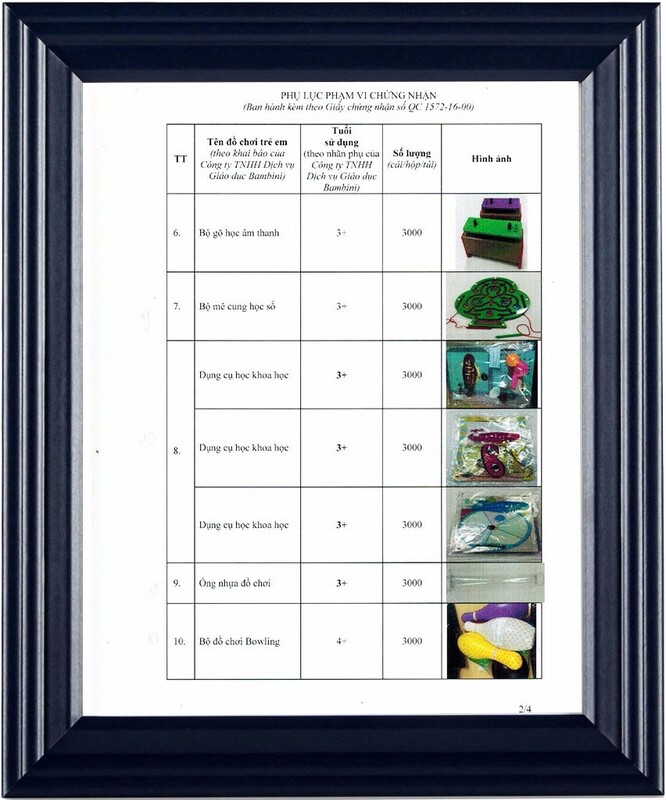 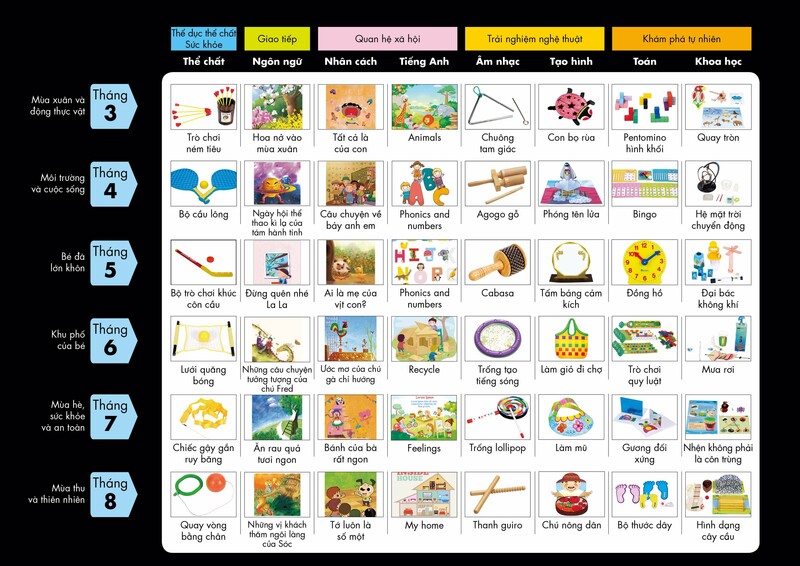 Jello educational materials & tools are incorporated with MOET’s kindergarten curriculum standards that focus on five aspects. 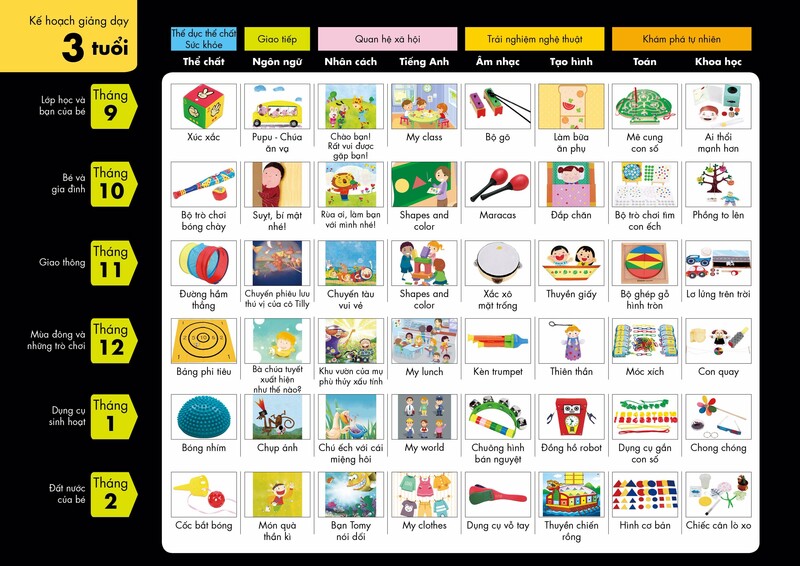 Jello STEM & Arts driven educational tools help children to develop the five senses and fundamental skills for real life. 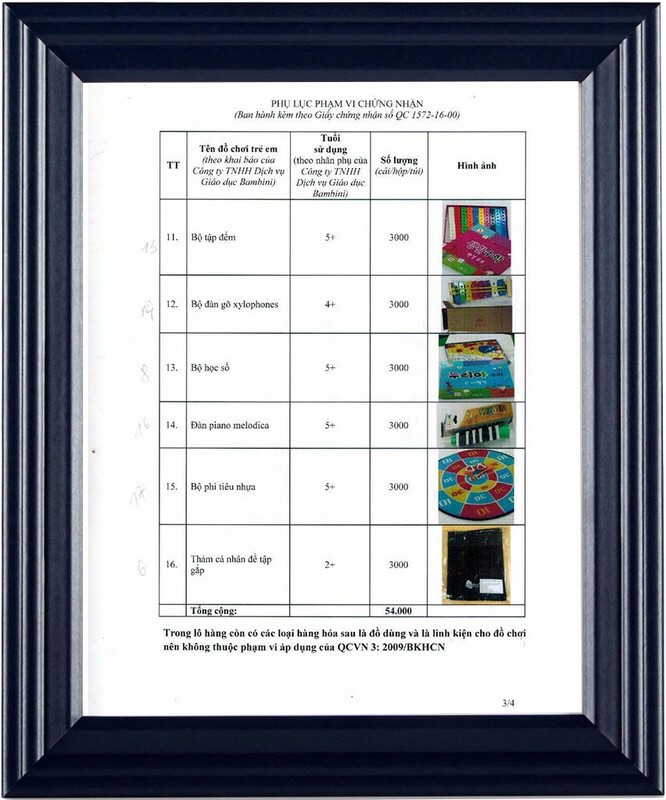 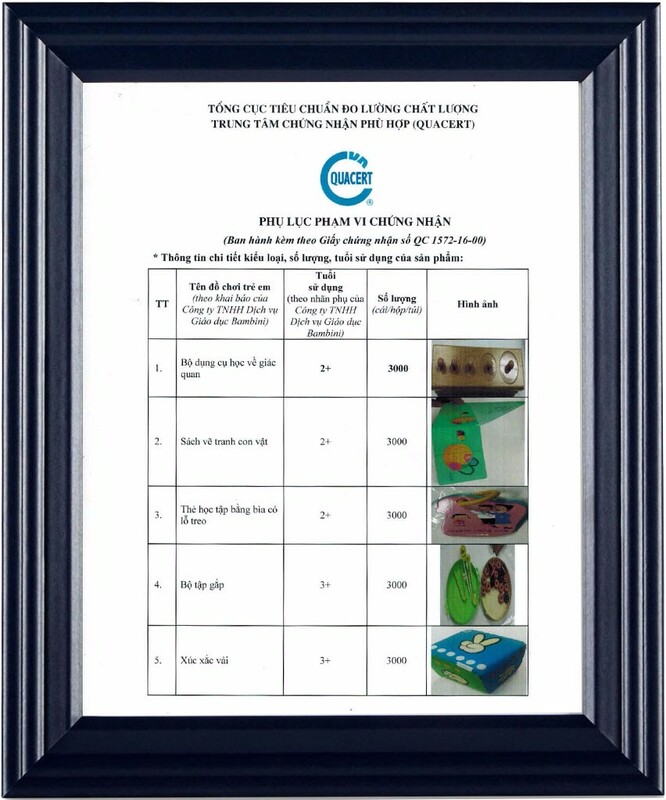 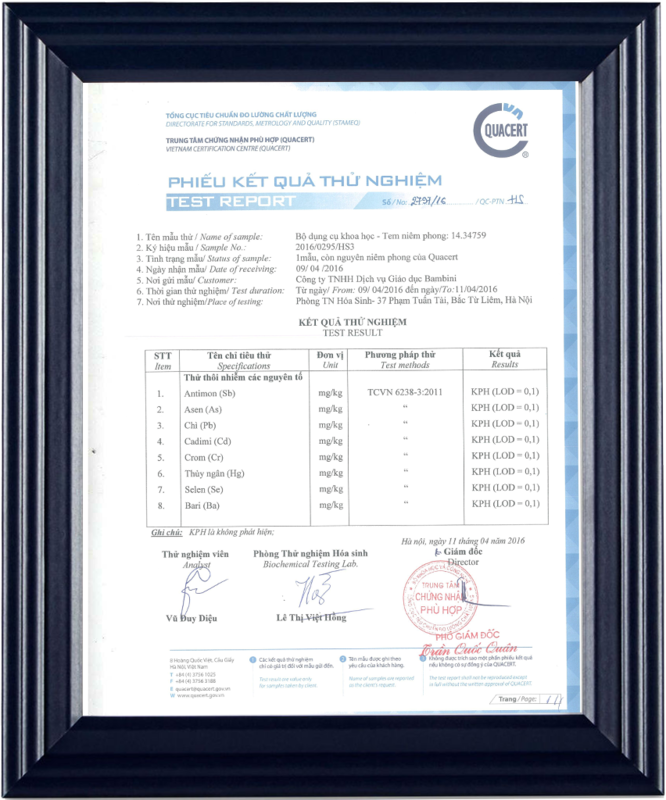 The educational tools certified QUACERT TCVN 6238-3: 2011 on the safety for children. 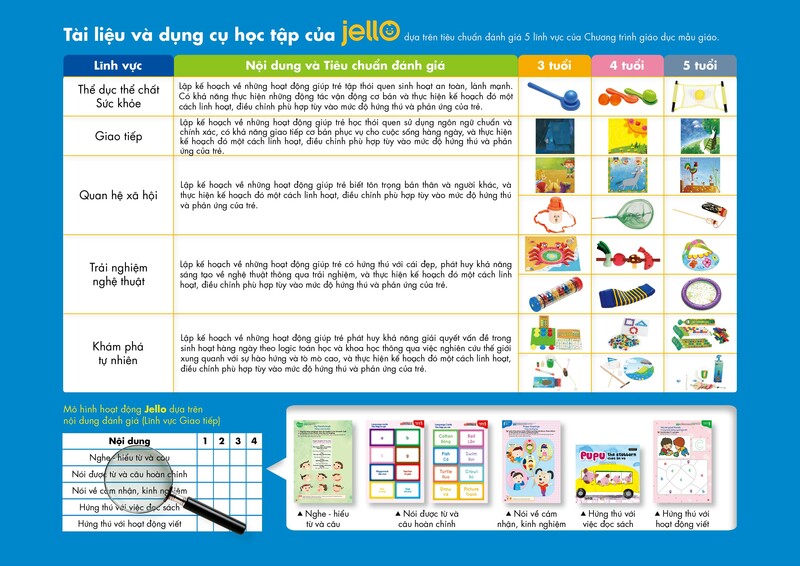 The content of Jello educational tools & curriculum are designed with six subjects including physique, languages, math, science, music, fine art and two special subjects including personality & English. 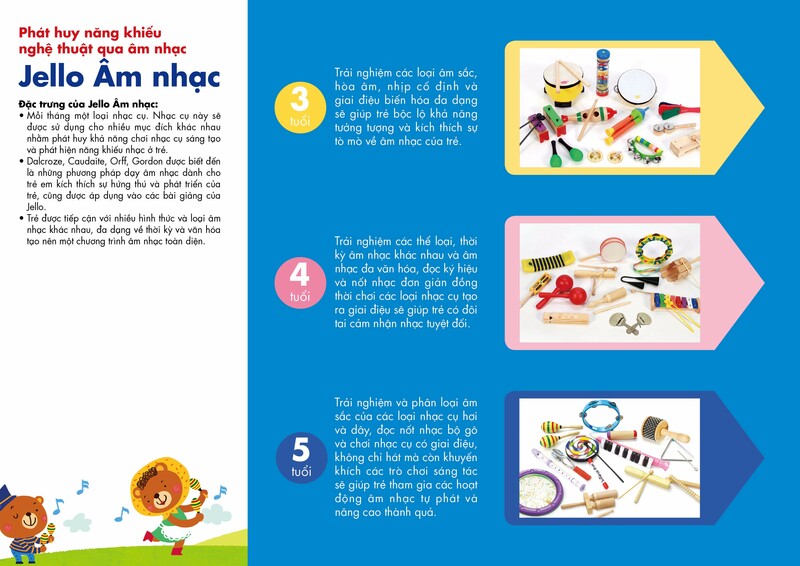 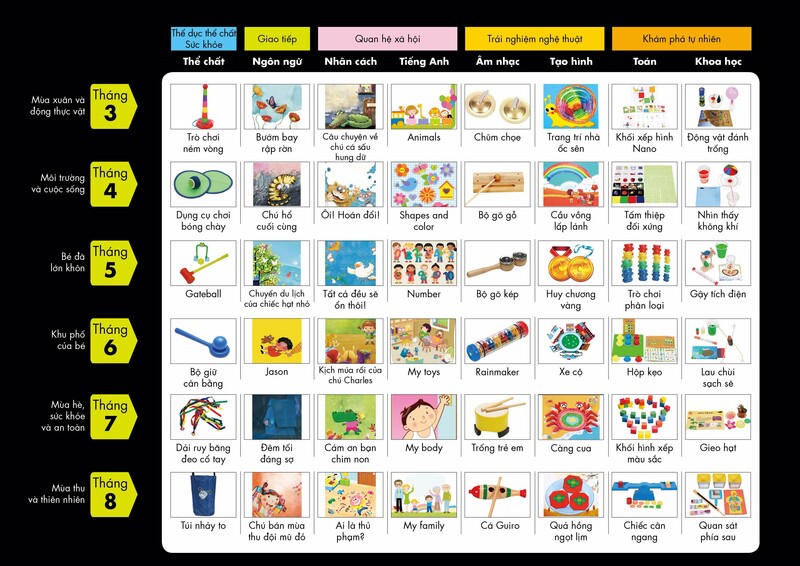 We believe that these tools and curriculum could help children to exhance the five senses, stimulate the excitement in exploring, learning and applying that into their daily life. 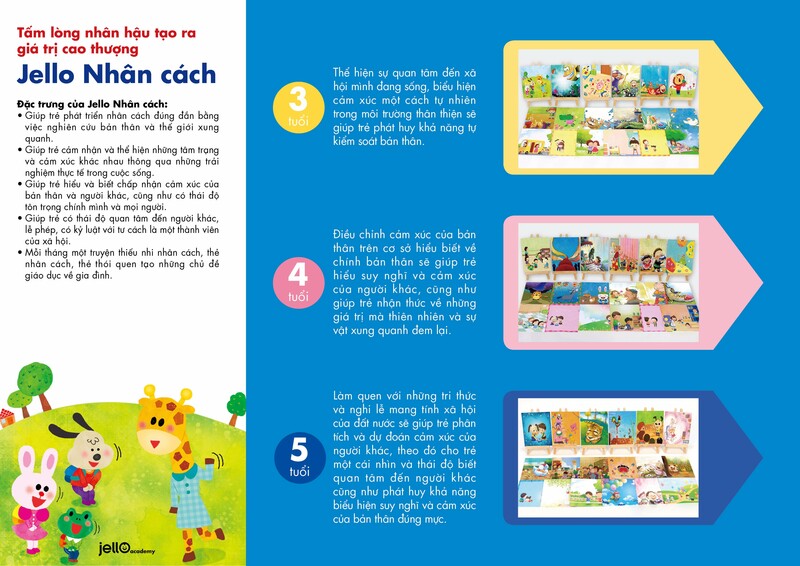 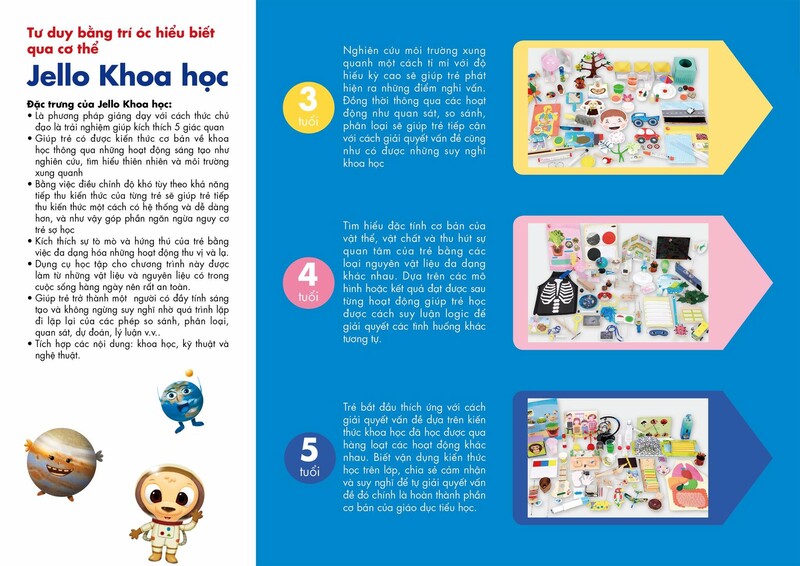 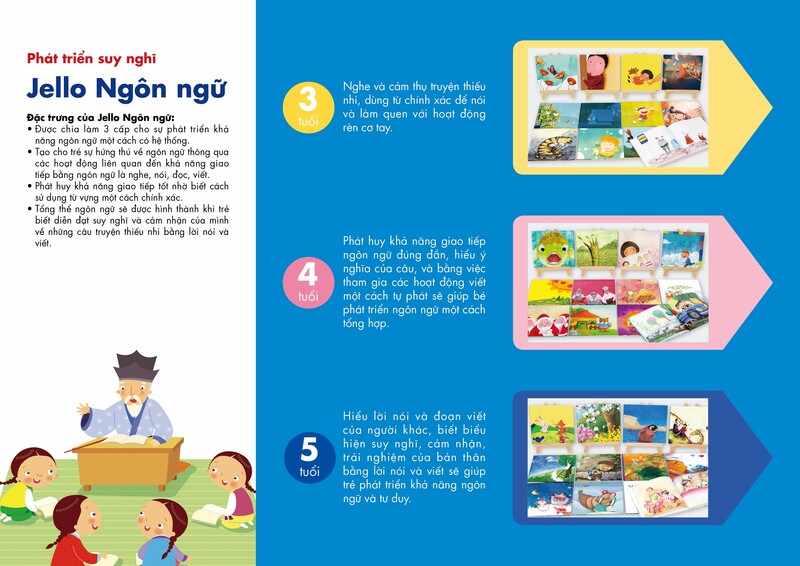 Includes audio-video books about daily life and human personality to guide children to have the right activities.